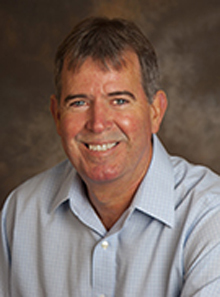 Leonard Howell, PhD, has been appointed Associate Director for Scientific Programs for the Yerkes National Primate Research Center, Emory University, effective Sept. 1, 2014. In this position, Howell will work with Yerkes' new director Paul Johnson, MD, and the center's leadership team to help guide the future directions of the center's scientific research programs, establish scientific priorities and enhance support for Yerkes research. Howell, an Emory alumnus, has been a researcher at Yerkes since 1987. He currently serves as chief of the center's Division of Neuropharmacology and Neurologic Disease and director of the Yerkes Imaging Center. Howell also holds a tenured appointment as professor in Emory University School of Medicine's Department of Psychiatry and Behavioral Sciences, and a joint appointment as professor in the School of Medicine's Department of Pharmacology. In making the announcement, Johnson says, "I am honored Dr. Howell has agreed to fill this important position for the Yerkes Research Center, and I look forward to working closely with him to shape the future of Yerkes-based research. He holds the respect of countless scientists and staff, so I'm sure there will be many joining me in welcoming him to this new role." Howell is an expert in nonhuman primate models of drug addiction. His interests range from basic neurobiology of the central nervous system to medication development for treatment of cocaine addiction in humans. In accepting this additional role for the Yerkes Research Center, Howell says, "This is a wonderful opportunity to become more engaged in the broader research mission of Yerkes. I especially welcome involvement in the integration of our major focus areas of neuroscience, immunology and vaccine development. I appreciate Dr. Johnson's confidence in my ability to serve in this capacity." Howell's research program focuses on the neuropharmacology of abused stimulants and includes basic neurobiological studies of drug mechanisms as well as medications development to treat stimulant abuse. The program is translational in its focus and bridges preclinical, nonhuman primate models with therapeutic applications in humans. Additional interests include the long-term consequences of chronic stimulant use on behavior and brain function. The long-range goal is to develop a unique, multidisciplinary research program in substance abuse that effectively integrates behavior, neurochemistry and functional brain imaging in nonhuman primates. To acknowledge Dr. Howell's leadership and the promise of his research offers, the National Institute on Drug Addiction (NIDA) recognized him in 2006 with a MERIT (Method to Extend Research in Time) Award, which provides long-term support for researchers whose competence and productivity are considered distinctly superior. He is also the recipient of a Senior Research Scientist and Mentorship Award (K05) from NIDA. In his role as the Imaging Center director, Howell provides oversight of research projects to study non-invasively the living brain to better answer questions focused on neurophysiology, neuroscience, neurology and neurodegenerative diseases. The Imaging Center employs the latest generation of magnetic resonance imaging (MRI) and positron emission tomography (PET) equipment to perform novel basic studies in nonhuman primates and rodents, and translational studies to integrate new projects into clinical research applications. Dr. Howell is a member of national and international committees, including the executive committee of the American Society of Pharmacology and Experimental Therapeutics (ASPET), and he holds memberships in numerous professional organizations, including the American College of Neuropsychopharmacology (ACNP) and the Society for Neuroscience (SfN). He is also a fellow of the American Psychological Association (APA) and the College on Problems of Drug Dependence (CPDD). Established in 1930, the Yerkes National Primate Research Center paved the way for what has become the National Institutes of Health-funded National Primate Research Center (NPRC) program. For more than eight decades, the Yerkes Research Center has been dedicated to conducting essential basic science and translational research to advance scientific understanding and to improve human health and well-being. Today, the Yerkes Research Center is one of only eight NPRCs. The center provides leadership, training and resources to foster scientific creativity, collaboration and discoveries, and research at the center is grounded in scientific integrity, expert knowledge, respect for colleagues, an open exchange of ideas and compassionate, quality animal care. Within the fields of microbiology and immunology, neurologic diseases, neuropharmacology, behavioral, cognitive and developmental neuroscience, and psychiatric disorders, the center's research programs are seeking ways to: develop vaccines for infectious and noninfectious diseases; understand the basic neurobiology and genetics of social behavior and develop new treatment strategies for improving social functioning in social disorders such as autism; interpret brain activity through imaging; increase understanding of progressive illnesses such as Alzheimer's and Parkinson's diseases; unlock the secrets of memory; treat drug addiction; determine how the interaction between genetics and society shape who we are; and advance knowledge about the evolutionary links between biology and behavior.